Investigators are asking residents to report any hit-and-run incidents that happened overnight, saying they may be connected to the suspect's erratic driving. 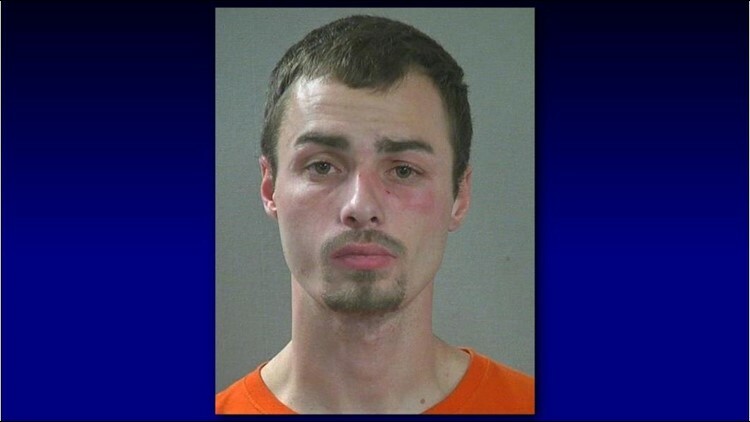 NAMPA -- A Nampa man is in custody after police say he tried to hit an officer with his SUV late Wednesday night. The incident started just before 11:30 p.m., when officers were called out to a disturbance involving an argument between a man and a woman on North Liberty Drive near Sunny Lane. As officers arrived at the scene, the man got in an older model dark-colored Chevy Blazer and drove away. Minutes later, someone else called police to report that the Blazer was driving extremely fast southbound on Canyon Street without its lights on. A short time later, a Nampa Police officer found the vehicle in the 1100 block of South Elder Street. As the officer walked up to the SUV, the driver - later identified as 23-year-old Jacob M. Brent - sped toward the officer, swerving at him in an attempt to hit him, police say. The officer fired several shots, hitting the SUV. Brent then attempted to ram another officer's patrol car with his vehicle, hitting and damaging a roadside planter instead, police said. Officers continued to chase Brent's SUV for several blocks. According to police, Brent crashed through a metal gate on Amity Avenue at Fern Street, driving onto the Northwest Nazarene University campus. The suspect drove across lawns on campus and smashed through a fence around a building under construction. He continued back onto other grassy areas in the middle of campus, causing more damage, before ditching the SUV and running away, police say. Officers chased him down and caught up with him, taking him into custody. Brent was booked into the Canyon County Jail on two felony counts of aggravated assault on a police officer, two felony counts of vandalism, felony eluding a police officer, felony possession of a controlled substance, misdemeanor driving under the influence, misdemeanor possession of drug paraphernalia and misdemeanor resisting arrest. The incident is under investigation by the detectives from the Nampa Police Department. Because of Brent's erratic driving, police are asking residents to report any hit-and-run incidents that occured overnight.